Weston provides facility renovations in secure spaces for the Defense Attaché Office in U.S. embassies worldwide. Using our proven self-perform crews, Weston executes compliant renovations with minimal disruption to ongoing embassy operations. Work environment is an active, high-profile facility, usually in an occupied suite, requiring a high degree of coordination with end users, uninterrupted security coverage, and telecommunication connections. Secure procurement of materials and equipment in the United States, with overseas shipments to the sites in accordance with the project schedule and phasing plan. Flexibility to respond quickly and efficiently to changing conditions, including embassy schedules, scope changes, and requests while performing multiple concurrent task orders. Age and type of building construction; older buildings often result in an increased number of unknowns required to be addressed during renovation. Environmental concerns for construction crews and building occupants, such as asbestos, lead paint, and mold, as well as proper collection and disposal of heating, ventilation, and air conditioning coolants during demolition. 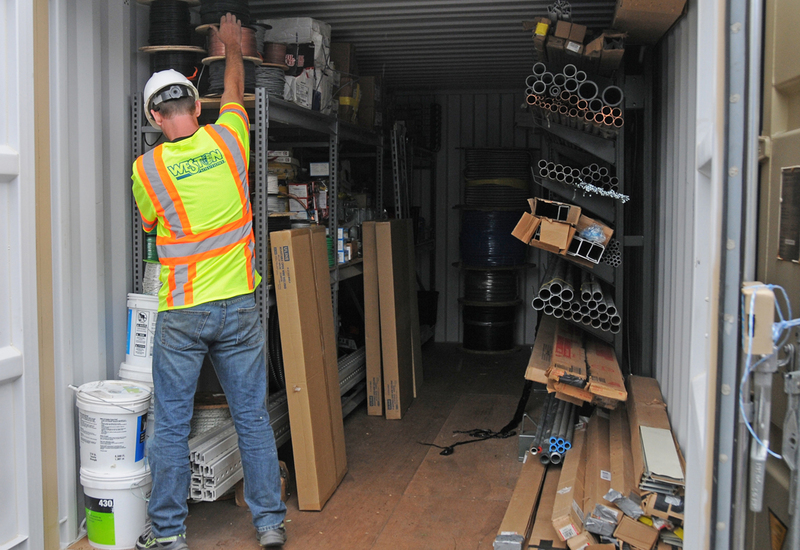 Site configuration and location, which, in downtown locations can result in delivery restrictions or lack of the Secure Storage Area at the specific post. Operations Coordinator, U.S. Embassy, Saudi Arabia.